“Graham is a born and raised Jamaican who after high school traveled to the foreign lands of Savannah, GA to attend SCAD. He completed his journey with a BFA in Broadcast Design and Motion Graphics and went on to live in NYC where he currently resides. For over two years, he worked as a freelance motion graphics designer & animator on a wide variety of jobs for several companies such as IGN, Kinda Funny, Juniper Jones, Imaginary Forces, Gentleman Scholar, NBC, Gretel, and several other prestigious companies. 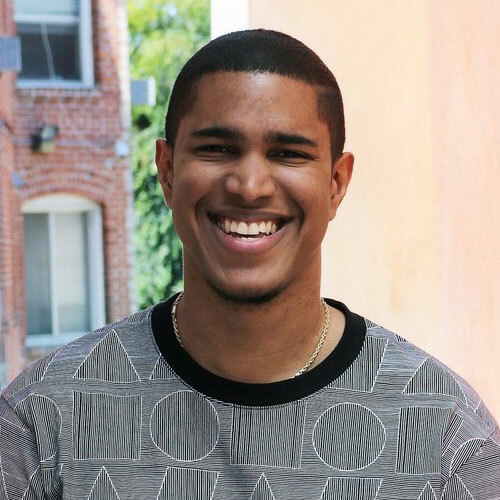 In 2012, Graham along with two other Jamaicans in a collaborative effort made a game called Shapes & Sound: The Shape Shooter, which was released for Android. Since then, Graham has continued to delve into the world of video game development. His sophomore effort was titled Hecticube for iOS and Android, and he is currently working on a new unannounced title.